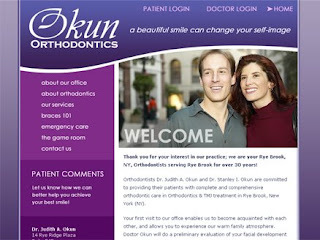 Orthodontist Dr. Judith A. Okun - Westchester and Rye Brook, NY: OkunOrtho.com Has a New Look! OkunOrtho.com Has a New Look! We're excited to announce the recent launch of our beautiful new web site! 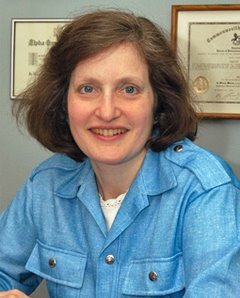 Visit us at www.okunortho.com to learn more all about our orthodontic practice in Rye Brook, New York, or to find out more about Board-certified orthodontists Dr. Judith Okun. Need to access your account information between appointments? You can look up the time of your next appointment, or whether that check you mailed was received. You can also print out how much you spent in the calendar year for your flex plan, or view your photos or x-rays that were taken at your last visit. Simply sign on using the Patient Login button at the top of our page. While you're there, you can also take a tour of our office and even enjoy a few arcade classics in our online Game Room!